The Anti Allergy 10.5 Tog Duvet from Fogarty Supatherm protects you against house dust mites, bacteria and odours that may be disturbing your sleep. 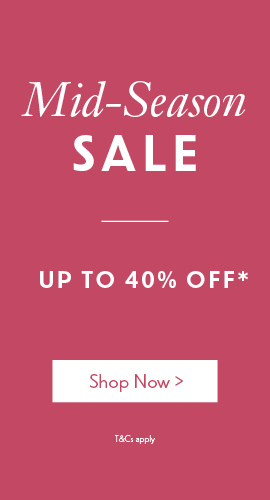 Filled with soft and luxurious hollowfibre for superior comfort and warmth and encased in 100% cotton. The duvet can be washed successfully at 40°C. The ultracare treated fabric features anti-bacterial, anti-fungal and anti-allergic properties giving long term reassurance for asthma and other allergy sufferers. 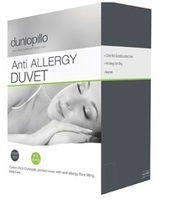 This anti allergy duvet from Fogarty has been awarded the Allergy UK Seal of Approval against dust mites and mould. The duvet provides a long lasting protection, whilst maintaining the standards of drape, handle and performance. I am so pleased with my new king size duvet. Its luxurious, soft and comfortable and the best bedding that I've ever purchased. I'll definitely be replacing my children's bedding in the future.